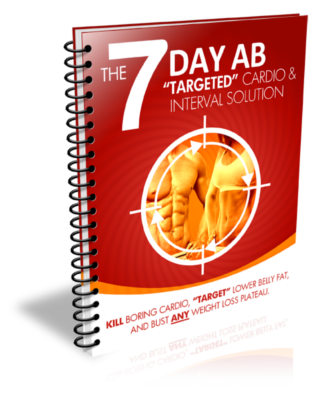 …a proven plan for getting rid of lower belly fat and working your lower abs – HARD. Oh, and all while boosting your metabolic rate while you sleep. Ah yeah. 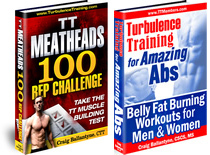 First, another sample workout using the metabolism boosting method we talked about yesterday. You’ll do a general bodyweight warm-up followed by a couple of supersets, an ab circuit, and a 100-rep challenge finisher. Do 8 reps per set. Do not rest between exercises A & B, but take 30 seconds of rest before repeating the superset up to three times. Ab Circuit – NOTE: Do only one circuit in Week 1. We all know that DIET is MORE important than EXERCISE, especially for your lower abs. So use Shaun Hadsall’s 4-Cycle Carb Solution. Cycle 1 – The 7 Day Carb Depletion Diet: Shut off your body’s dependence on sugars and make belly fat your go-to energy source to literally SEE your belly flatten in just 7 short days. Cycle 2 – The Macro-Patterning Cycle: Use LOTS of carbs to accelerate fat-loss and maintain a fat burning environment round the clock 24/7. No more plateaus. No more metabolic slowdown. No more suffering from traditional low carb diets. Cycle 4 – The Diet Break: By this point you’ll have overcame every type of adaptive response related to burning stubborn body fat. Now it’s time to put your fat-loss on cruise control by enjoying happy hour every Friday and even using all your favorite Cheat Foods through the weekend – WITHOUT suffering any rebound weight gain. Get the full 4-week Carb Cycle Solution here. …when you grab Shaun’s fat blasting carb-eating meal plan.